Margot Lee Shetterly’s forthcoming book Hidden Figures goes behind the scenes of the Space Race to reveal some of its unheralded—but instrumental—contributors. It’s the true story of NASA’s female African-American mathematicians who helped achieve some of America’s proudest moments in space. And while the book is set to launch this fall, it’s also being adapted into a major motion picture (January 2017) starring Taraji P. Henson, Octavia Spencer, and Kevin Costner. Shetterly’s “Hidden Figures” keynotes—stories of norms shattered (both gender- and race-wise), of unlikely heroes, and of science, innovation, and the spirit of American exploration—takes the history we thought we knew, and rewrites it from a much-needed perspective. With the onset of WWII, labor shortages saw women embracing non-traditional jobs—at which they quickly proved more than adequate. And as airplane technology emerged as a deciding factor in the war, the aeronautics industry expanded, rapidly. This meant hiring the best person for the job, gender and race aside. Together, these cultural shifts enabled African-American women to take up active, crucial roles in aeronautics. And Shetterly’s enthralling account centers on a few of these trailblazers, each working at the Langley Memorial Aeronautical Laboratory in Hampton, Virginia: Katherine Johnson, who calculated the trajectory of the original Moon landing and recently earned the Presidential Medal of Freedom; Dorothy Vaughan, the head of NASA’s all-African-American female sub-branch West Area Computers; and Mary Jackson, an aeronautical engineer and a champion of women’s rights in STEM fields. Having grown up in Hampton—with a NASA research scientist for a father, no less—Shetterly was granted direct access to both NASA executives and many of the women featured in the book, making Hidden Figures an impressive testament to their work. Beyond the book, she’s the founder of the Human Computer Project, an extensive digital documentation of NASA’s African-American “Human Computers” from WWII through the Cold War and the Space Race. She is also a graduate of The University of Hampton, and in 2014, was awarded an Alfred P. Sloan Foundation Fellowship. The will to innovate, to explore, and to push the boundaries of what is possible transcends race, gender, age, and background. It's universal. And as Shetterly reveals in her talks, no one better illustrates this point than NASA's unseen human computers. 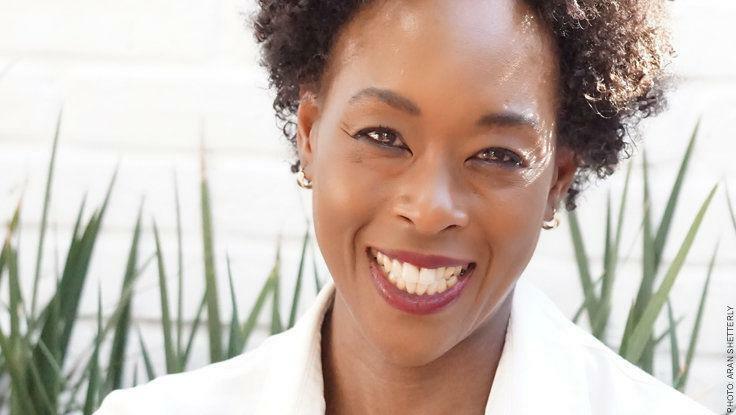 To hear Margot Lee Shetterly's "Hidden Figures" talk—the fascinating true story of NASA's unsung heroes—contact The Lavin Agency speakers bureau.